Contact us, Renew m'ship etc. interested in the psychological insights of Carl Gustav Jung. and the world today - from a Jungian perspective. Embodied Imagination® is a therapeutic and creative way of working with dreams, memories, physical symptoms of illness and creative ideas in the arts and science. Embodied Imagination® is based on Jungian principles on alchemy and on the work of American archetypal psychologist James Hillman, who focused on psyche as a simultaneous multiplicity of autonomous states. Phenomenology, ancient incubation techniques, complexity theory and neuroscience are integral to this work. All dreams are experienced as embodied events in time and space. A dream image is an environment in which we find ourselves. The first principle of Embodied Imagination® is to view a dream image as a live environment that surrounds us. Given this, the dreamer can re-enter the landscape of the dream, or memory and its images to fully and deeply explore and experience them. Working on images from this perspective stimulates unfamiliar states of consciousness and helps to contain them in expanded body awareness. Working with dreams and memories in this way accesses their potential for change, healing and creativity. This talk will outline the basic principles of Embodied Imagination® and describe the method and its applications. Jennifer Hume is a retired counsellor who worked in private practice in counselling and consulting for community agencies and agencies in the ACT from 1993 - 2018. She was the Director of Lifeline Canberra from 1989 to 1993 and a part time lecturer in the Counselling Program at the University of Canberra for 14 years. In 2004, she designed and taught the inaugural Graduate Certificate in Counselling Supervision, the first general supervision qualification to be offered in Australia. Jennifer undertook the Sydney based Embodied Imagination® course in 2009 and graduated in 2012. She has worked with groups and individuals in the Embodied Imagination modality working on relationship issues, chronic illness and acute postoperative conditions. She has given presentations and workshops to both the Canberra and Melbourne Jung societies as well as Masters of Counselling students at the University of Canberra. She is currently Membership Liaison Secretary of the International Society for Embodied Imagination of which she was inaugural convenor of the Executive Committee. Cost: Jung Society Members (free), Guest $12, Senior $10, Concession $6. "The Mystery and Power of Mandalas"
During this talk, I will share the story of my own discovery of the mystery and power of mandalas, moving from initial scepticism to creating a book about their use. I stumbled across the term ‘mandala’ while reading about Hildegard of Bingen and it sparked my curiosity. Since this time, I have used mandalas in my personal life and with individuals and groups. 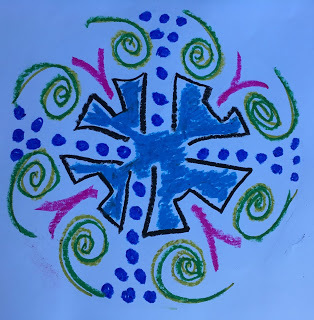 Often, people are surprised by the process of creating a mandala and subsequently find meaning in reflecting upon their creation, bringing healing, wholeness and insight. 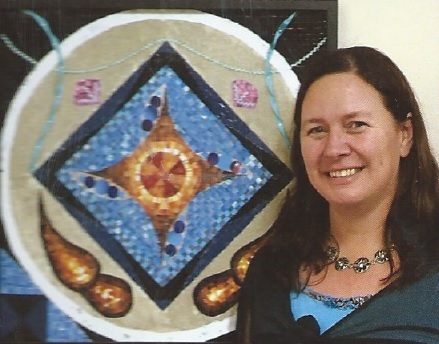 I will share personal stories about my experiences of using mandalas in my spiritual life and in working with others. Mandalas are found in many spiritual traditions across our world, but have really only been accepted in the West through the work of Jung. My work with mandalas is based on Jung’s claim that the mandala is an archetype for wholeness and how this relates to our spiritual life. Jung viewed the mandala as a tool that assisted in the process of individuation and my passion is walking with people as they grow and transform whilst engaging in their own inner work. I look forward to sharing with you the key insights I have gained from facilitating the creation of mandalas with various groups. "Mandalas for Wholeness - a half-day Workshop"
In this workshop, I will introduce people to the use of mandalas in our spiritual journey. The workshop will commence with a short presentation, followed by a simple meditation to lead us into creating our own mandalas. All materials will be provided to create your mandala. At the conclusion of our time together, participants will be invited to share their experience of the process and I will offer some suggestions for working further with the mandalas. No art experience is necessary. Simply come with an open mind and the willingness to put aside a few hours of your busy lives. "Shadow Work in Psychotherapy and the Art of Dying"
I began preparing the material for this talk because the topic has been on my mind for some time. I find that most published writings on the shadow leave me most unsatisfied. And on the matter of dying, well, it appears to be one of those occasions when our tendency is to avert the eyes. Nothing to see here! Jung’s notion of the shadow was that it is an archetypal force. So, my intention is to develop some potential richness around its archetypal basis. Psychodynamic psychology is called psycho-dynamic precisely because it emphasis the dynamic or energy aspect of the archetype. It’s an archetypal force not a neutral structure. It is a force that is constituted as a pre-existing framework ready for action in the world. Thus we can talk of a primordial predisposition. Babies don’t come into life as a blank page. Every baby has a prescribed beginning that is then continuously shaped by experience. Perhaps the most difficult to grasp of all the so-called Jungian archetypes is the ‘shadow’. We humans are drawn toward the ‘light’ and toward the ‘dark’. The light is a top-of-the-mountain experience. The dark, in contrast, is a moist, misty valley. One see clearly from on the mountain peak, the view is stunning and the air is pure. One only sees the very immediate in the dark valley. Often the mist is so full-on that all that can be seen is the thick mist itself. It’s so easy to feel lost. The expected path is barely visible if at all. Dying, as a key aspect of an archetypal force, is a move toward the ‘dark’. Out culture is very light orientated in that we crave for understanding, insight, enlightenment. But because the archetypal force lies on the dynamic spectrum, the more we move toward the light the more our daily living accentuated the dark. Ars moriendi, the classical literature on the art of dying needs to be revisited and Jung’s shadow work is proposed as a useful vehicle for this task. 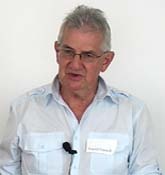 David Russell is a past president of the Sydney Jung Society. He completed his undergraduate and postgraduate studies and research in psychology at the University of Sydney. Here he was introduced to the writings of Sigmund Freud (unusual for a Department of Psychology) and developed an ongoing enthusiasm for the history and philosophy of psychology. After a few years in private practice he moved into an academic career, which culminated in the establishment of the Master of Analytical Psychology degree at the University of Western Sydney. David has currently returned to private practice in Sydney CBD. "Making the Insights of Carl Jung's 'archetypal forces' Useful in Therpeutic Work"
Cost $50 for Jung Soc. members, $60 for non-members. The focus of the workshop will be Jung’s notion of ‘soul’. How soul manifests, demands attention, and desires deep satisfaction. Archetypal forces make manifest soul matters; the matter of soul. A number of archetypal forces will be referred to with the dominant one being the move toward the ‘light’ (understanding, explanation) and the move toward the ‘dark’ (soul-making, dying). While the therapeutic relationship will be central to the material presented any relationship including the one we have with ourselves will be addressed. The format of the workshop will be a mixture of presentation and discussion with personal experience being at the heat of all that is done. Six hours of Professional Development Points will be available to psychologists, therapists and counsellors. "Modern man in Search of a Soul"
Robert Tulip has Bachelors and Masters Honours Degrees in philosophy from Macquarie University. After thirty years working for the federal government, he is now returning to focus on these intellectual interests, especially the philosophical problems of psychology and religion. "Mandalas Series 3 of 4: "The Spirit Architype"
(at the MacKillop Conference Centre, 50 Archibald St, Lyneham)"
Cost: Jung Society Members $60, Concession $50, Public $80. Pay by cash or bank transfer or by credit card via TryBooking. Dr Kirstin Robertson-Gillam is passionate about empowering people to achieve their potential. She has a private practice specializing in communication disorders and issues of trauma, dementia, Parkinson’s Disease, and general and EAP counselling. She developed her unique psychotherapeutic approach using imagery and visualisation, mindfulness meditation, visual arts, music making and singing from her own research. She underpins her work with psychological theories and current research. Kirstin completed a psychology major in her BA along with ethnomusicology and musicology majors at the University of New England. She then studied a Master of Counselling at Western Sydney University followed by research in a Masters degree which focused on reducing depression in severe dementia with a choir therapy and reminiscence program. Her PhD is focused on reducing depression in mid-later life with a community choir therapy program. .. only in Meister Eckhart did I feel the breath of life...” Memories p87. Who was Meister Eckhart and how did he influence Carl Jung? Terry Curtin, BA(Psychology), B Theology, MA(Theology), Diploma of Transpersonal Counselling, with a background in scholastic theology and Jungian counselling, will reflect on how a 13thC Dominican theologian/mystic had such a profound impact on Carl Jung. "Carl Jung's Alchemy (not just a matter of turning base metals into gold!)" 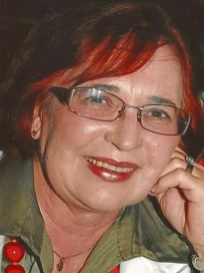 Dorothea is a psychotherapist and she is currently training as a Jungian analyst with the C. G .Jung Institute of the Australian and New Zealand Society of Jungian Analysts. Dorothea has extensive experience as a group leader and therapist across a range of people and issues, working in both a public health facility as well as in private practice. "Mandalas Series 4 of 4: "The Trickster Architype"
The Canberra Jung Society Inc. does not endorse and is not to be held responsible for the content of any lecture or advertisement, nor is any information or advice a substitute for professional counselling and therapy. If you believe that we have inadvertently breached any copyright provision, please let us know and we will immediately rectify the matter. Cost for entrance to the monthly Friday meetings for non-members is $12 or $6 concession (members free). Cost for "Special Events" is indicated individually. entitling members to attend 10 meetings plus receive two newsletters. at MacKillop House, 50 Archibald St, Lyneham, ACT.